Please follow these instructions carefully to connect your bird camera video cam to your home Wi-Fi. This will allow you to view your camera from anywhere in the world that has a network connection. Be sure to connect to Wi-Fi BEFORE you mount your camera to wherever you are going to permanently be using your camera by following these directions. If you are not using WiFi birdhouse camera, please refer to Connect the Camera with Ethernet Cable. The below instruction is for camera with Wi-Fi connectivity only. 1. First, Plug your camera into the power cord, wait for 2 minutes for the camera to boot up. 2. Next, you need to connect your mobile phone to the Wi-Fi network you want to use. If your Router supports dual band like 2.4Ghz and 5.8Ghz, make sure you use 2.4Ghz. The camera can’t work with 5.8Ghz WiFi. 3. 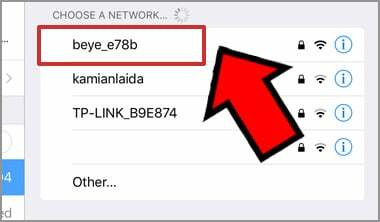 Now on your mobile phone, go to the Wi-Fi settings, Here in “choose a network” you should see a network by the name of beye_*** or IPC_***. Do NOT try to connect this network. This is the internal Wi-Fi network for the camera. You will be attaching the camera to YOUR OWN network. 4. First locate the reset button on the power cord. With a pencil tip or other pointed object you need to depress the white button three times. (See Video below) This removes camera’s internal Wi-Fi network so you can install your own. 6. Now go to the app. You are ready to add the camera to your Wi-Fi network. Click on “I know” and then click on the “+” sign on the next screen in the upper right hand corner. 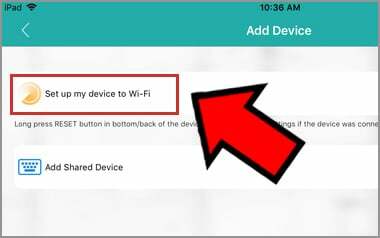 In the next screen click on “Set up my device to Wi-Fi. 8. Press “Confirm”. You are now taken to the next screen labeled “Device Searching”. Now your camera is searching for your home wifi connection. GIVE IT TIME. It may take several seconds. 9. 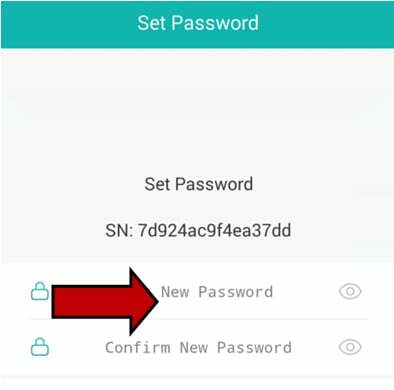 In the next screen, you will be promoted with interface for creating new password for the camera. Remember this is the new password for your camera. You may need this password to connect the camera to PC software. 10. You can now enjoy beautiful HD colored video! However, if the radar counts down to zero without new screen for password, you will need to reset the camera. To do this, press and hold the reset button for 15 seconds on the camera. Then you repeat the above process from first step. Hello. We had the camera set up last year and everything worked fantastic. This year we won’t get the camera to work. We’ve reset the camera and then followed instruction here: https://green-backyard.com/pages/how-to-connect-ip-bird-camera-to-wifi-network/ Unfortunateyl when it comes to the step where the APP searches the network for the camera, the camera is not found. In general the camera works because it makes to click sounds after reboot. You may need to reset your camera. Firstly, power up the camera and wait for around two seconds until you hear the click sounds. Next depress and hold the reset button for more than 10 seconds, then release. Wait for another two minutes until you hear the click sounds again. Now check the WiFi setting of your mobile phone. If you can see the camera’s internal WiFi name as beye_**, please follow the instruction to connect the camera back to your WiFi networ. I apologized for any inconvenience issue. When you connect the camera to your WiFi network, You have added the password to the camera. It is on the step 9th in this guide. If you don’t remember to password, you will have to reset the camera. Please depress and hold the reset button for more than 10 seconds. 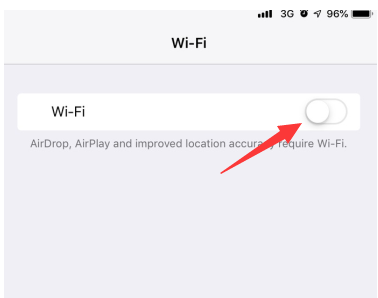 Please understand the camera will be disconnected from your WiFi network after you reset, So you will need to follow the above guide to connect the camera back to your WiFi network.